Thinking of baking and wants to have a multi- functional oven? This is exactly made for you! Featuring with bake, grill and roast option, you will never run out of ideas for breakfast, lunch or dinner. You can even have after meal dessert sorted at the same time. 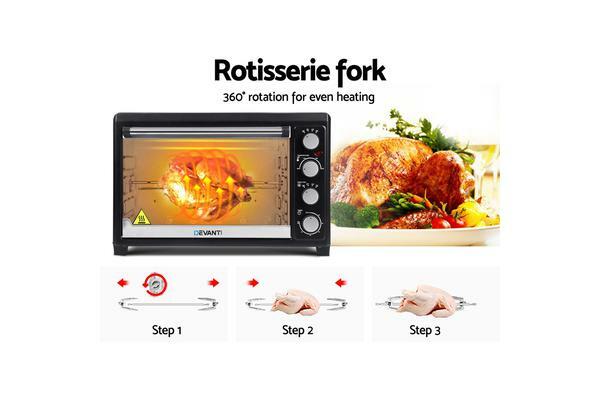 With the quality glass door and built in light, you can always monitor the progress of your cooking and adjust the temperature as needed, you’ll never come out with overcooked dishes or underdone cakes on the table any more! Top and base heating options also allows you to control the heating more efficiently for a perfectly done dish/ cake! 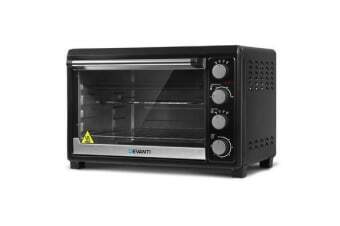 It gives you unlimited options when it comes 45L capacity, a double hot plate and rotisserie function. 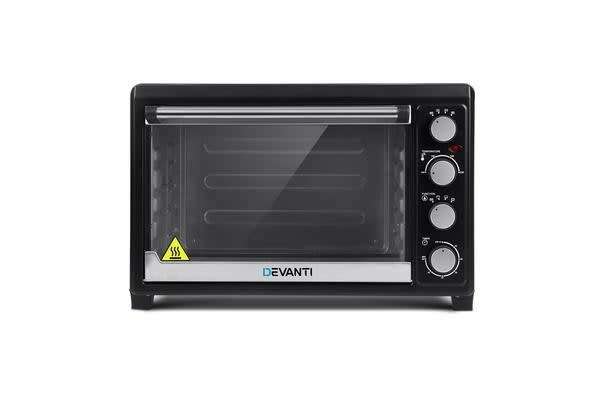 Purchase this DEVANTI now and get it delivered to your door step. You can start cooking right away once received.